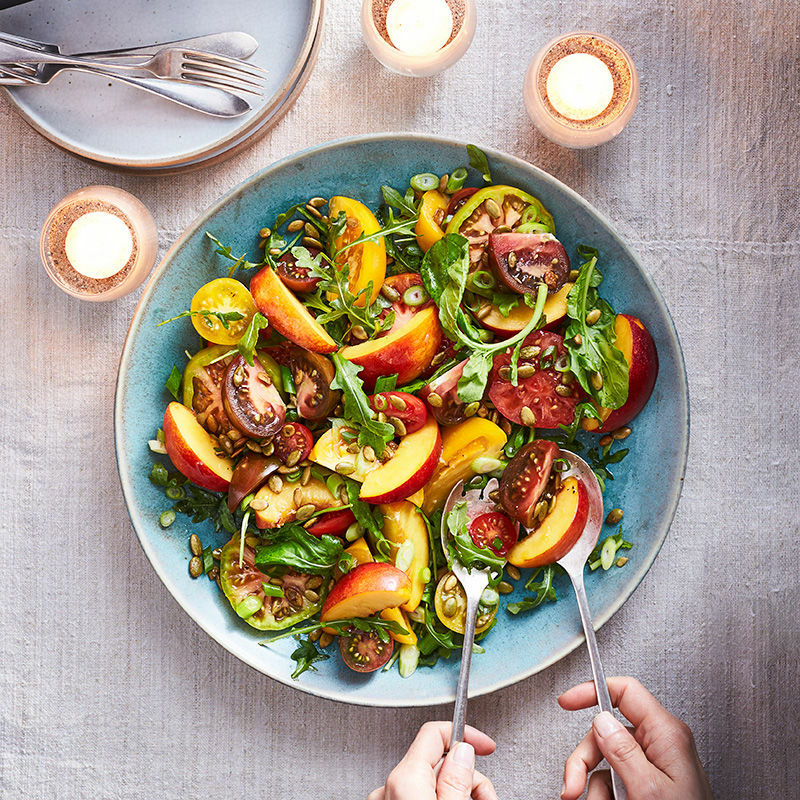 Place tomatoes and nectarines or peaches in a large bowl; Whisk Extra Virgin Olive Oil and Lime juice together then drizzle on top. Sprinkle the Sea Salt combine and toss gently. Place arugula in a large serving platter, spoon nectarine tomato mixture on top, toss gently. Sprinkle the scallions and pepitas on top. Serve immediately. Serve with Grilled Salmon and a Peach Balsamic Spritzer! 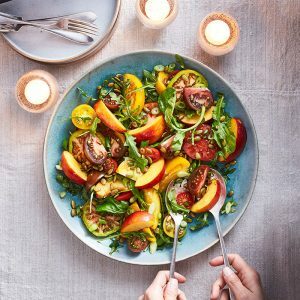 1.Â Place tomatoes and nectarines or peaches in a large bowl; Whisk Extra Virgin Olive Oil and Lime juice together then drizzle on top. Sprinkle the Makai Sea Salt combine and toss gently. 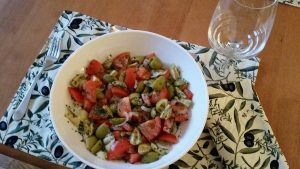 Fresh Tomatoes, quartered, Artichokes, halved, our ‘La Abuela’ Recipe Olives from Spain, halved and Fresh snipped flat Parsley. Dressing: Whisk together the Garlic Infused Olive Oil with our Sofi award winning Serrano Honey vinegar. Drizzle on top of the tomatoes, artichokes and olives. 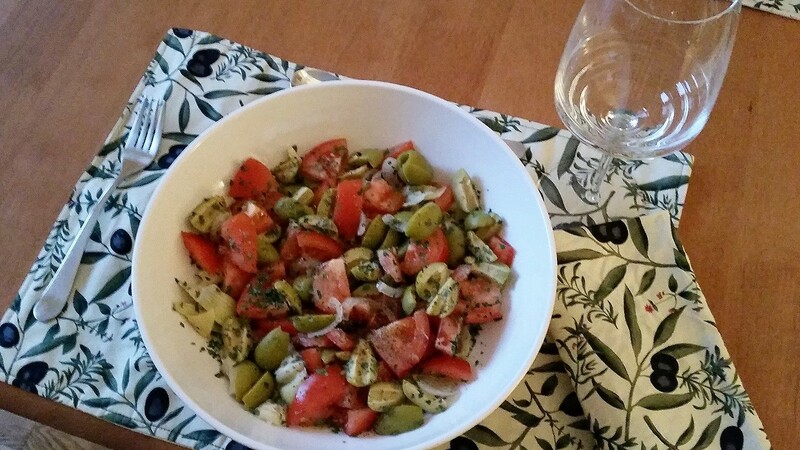 Serve with a fresh baked crusty bread and a Dry Chenin Blanc or Sicilian Lemon Balsamic Spritzer. Enjoy.